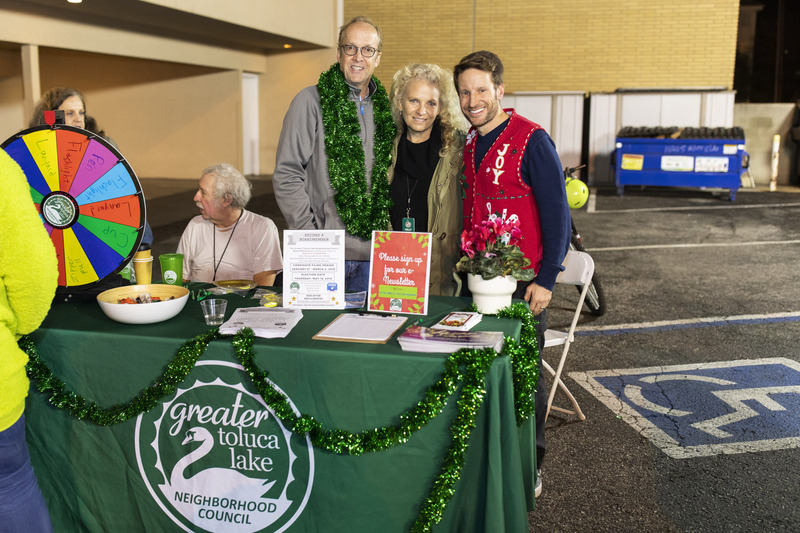 On December 7, residents and neighbors flocked to Riverside Drive for Toluca Lake’s annual Holiday Open House. 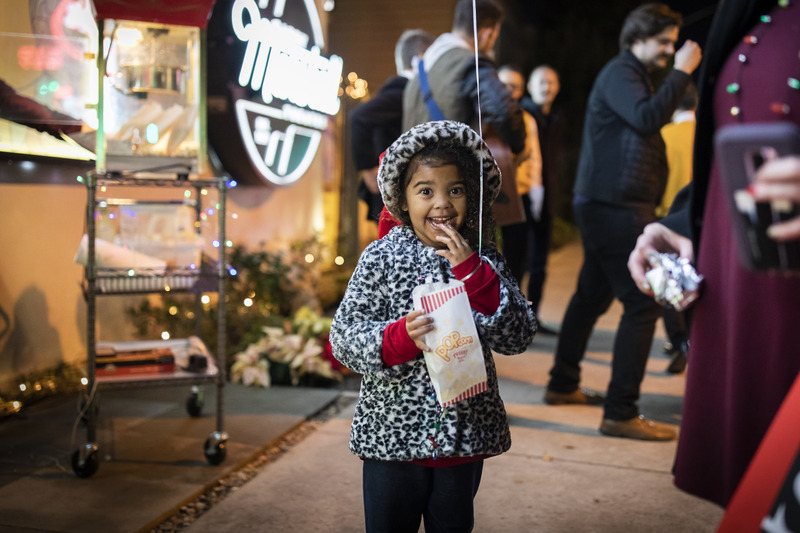 Local businesses opened their doors or set up booths on the sidewalks with special offerings for passersby, including refreshments and other giveaways. 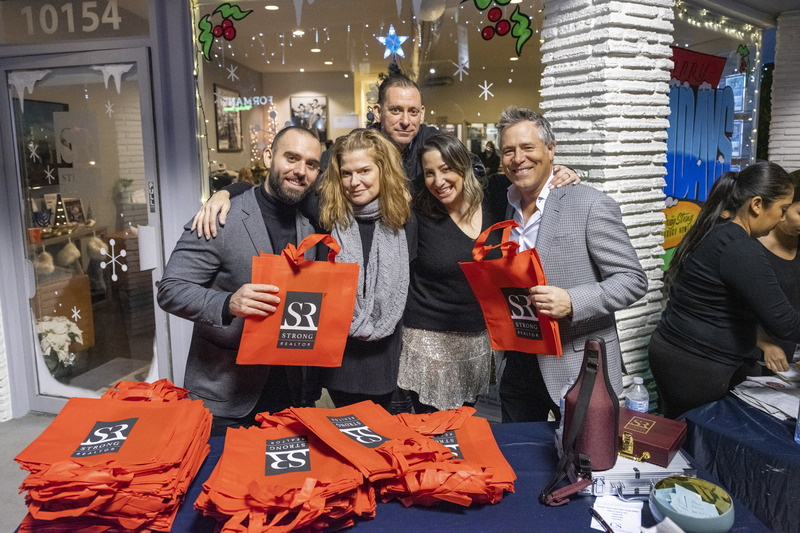 Among those spreading the cheer was Amy Fishburn, owner of Prosecco Trattoria, who distributed truffles outside the restaurant. 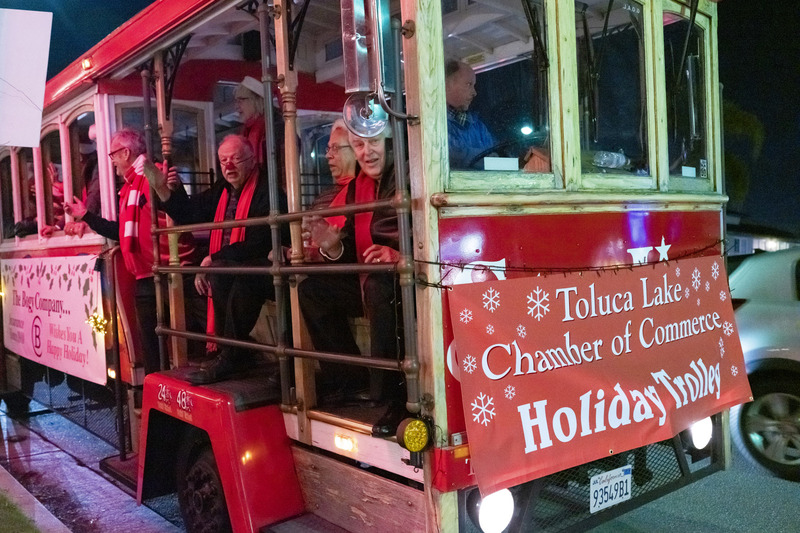 She said she enjoys the festive atmosphere, and not just because it’s one of their busiest nights of the year. 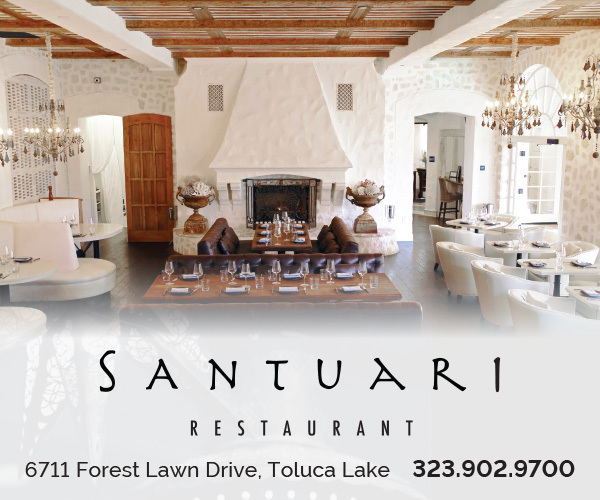 At the inaugural open house, the restaurant “won for best decorations,” she noted, gesturing to the garlands, ribbons and twinkling lights adorning the exterior. 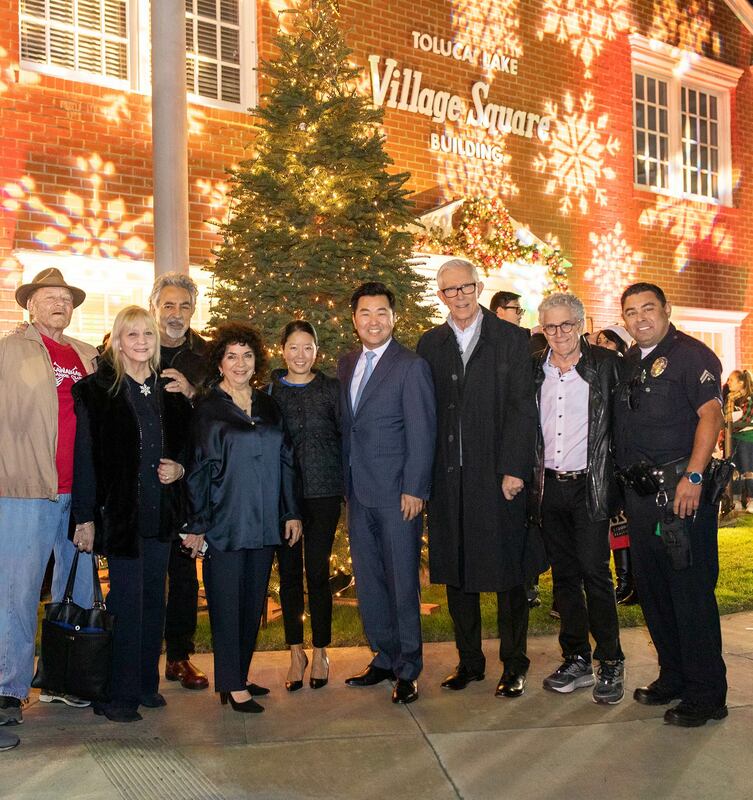 The event also featured live music, decorations, games, opportunities to pose for photos with Santa Claus and the Grinch, and a tree-lighting ceremony.